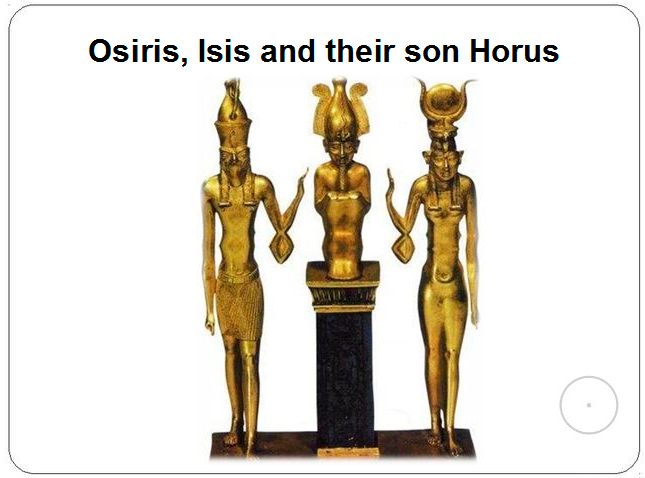 The most famous mythological twins include the Vedic divine Ashwins Mitra and Varuna, Roman heroes Romulus and Remus, Egyptian deities Isis and Osiris, Greek deities Apollo and Artemis, Greek and Roman mythic heroes Castor and Pollux. It is noteworthy that very often the twin image arises in dualistic mythologies. Twins in dualistic myths bear the epithet of the Divine Twins and are regarded by people as cultural characters. 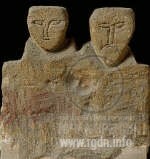 In many myths the Twins pose as beings that got in contact with a preternatural power and became its bearers. 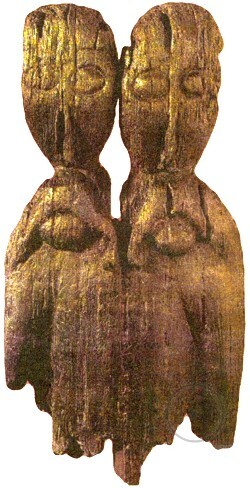 Sometimes the twins were believed to have two fathers – an ordinary human and a totem or God in more developed mythological traditions. Sometimes they were regarded as children of an immortal father and a mortal mother. Divine and human features in such case usually remain separately expressed. Thus, one of the twins is endowed with immortality and symbolises the eternal spiritual nature of a human being, one’s soul, whereas the other twin is mortal and embodies the destructible human corporal nature. For instance, in Greek and Roman mythology the Dioscuri – mortal Castor and immortal Pollux – were the sons of Leda and, respectively, of king Tyndareus and Zeus. In a twin myth of Cahuilla North American Indian tribe, one of the twins Mukat (who created people and the moon) contends for the primacy with the other twin Témayawet who leaves for the underworld. In a twin myth of Iroquois and Huron Indians, Ioskeha is a creator of the sun and all useful things on the earth, while his younger twin brother Tawiskarong is a creator of rocks, harmful animals (pumas, jaguars, wolves, bears, snakes and insects) and thorns, who called forth the first earthquake. Tawiskarong opposes all Ioskeha’s good undertakings, namely prevents him from arranging two currents in rivers – up and down – by creating rapids. Wounded in the fight with Ioskeha, Tawiskarong escapes to the underworld, and as he’s escaping every drop of blood pouring from his wound turns into a flint (Tawiskarong himself was made of flint-like and ice-like solid substance). After the fight with his brother Ioskeha leaves for the heaven. One of Zoroastrian main myths presents a mystery of two great spirits, two twin brothers – Ormazd and Ahriman. One of them chose Good and became the Demiurge, the Creator, while the other one chose evil and became a devil, a destructor. In some dualistic myths twin brothers are not antagonistic to one another, but only embody the two natures or principles, each correlating with one of the tribe’s halves. So are the Beloved Twins of Zuni North American Indian tribe, who divided the tribe into two phratries – people of winter and people of summer. Both Beloved Twins act as cultural characters who lead people out of the cave into the sun, give them various tools and weapons. 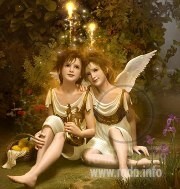 In myths of such kind twins often duplicate each other’s functions; they are both useful and busy with healing people. In Ancient India, the twin brothers named Ashwins were presented as two birds or bird-horses. Vestiges of the two worshipped brothers’ connection with horses were preserved by ancient Germans and in Baltic mythology, too. Until recently there was a popular belief in Lithuanian villages that twins sitting on a horse possessed a medicinal force like Ashwins – the healers (the name of the latter is translated from Sanskrit as aśva – a horse). Ashwins belong to heavenly deities and are associated with approaching morning and evening twilight. Awaked by Ushas and accompanied by Surya, they flit in the sky over the entire world in a golden chariot (wide three-wheeled one with three seats) with horses or birds (eagles, swans or falcons) harnessed to it, or on a hundred-paddled ship. Within one day they travel all over the universe and drive the darkness away. In the morning, those who pray call to Ashwins who are the connoisseurs of time, born by the heaven and belonging to both worlds. Ashwins are saviours who help people in trouble; they bring gifts for the Aryans: wealth, food, horses, cows, bulls, children, light, happiness, victory, long life, and vital force; they protect and reward singers. The role of Ashwins as of divine healers is emphasized (Ashwins also mean “divine doctors”, “the all-knowing”): they give life back to the deceased, cure blind and lame people, perform other miraculous acts. It is interesting that in relevant myths Ashwins are associated with honey (they give it to bees, sprinkle sacrifices with it, carry honey in their chariot, etc.) and Soma. Based on this, the Dutch expert in Hindu culture F.B.J. Kuiper suggested a hypothesis that in Ancient India an old inebriant honey drink was replaced with Soma. Ashwins are intolerant of strangers; they oppose evil spirits, diseases, niggards and envious people. They are depicted young (they are the youngest of all deities, though aged at the same time), strong, handsome and possessing robust health. Their brilliance and golden colour (the colour of honey or sometimes red colour) are also emphasized. They are rapid, deft, mighty, and have numerous forms. Many people know an ancient Greek myth about the Dioscuri – twin sons of Leda. One of the brothers, Castor, was conceived from the Spartan king, whereas the other one, Polydeuces (Pollux), from Zeus who had assumed a swan shape. Thus, although they were twins, one of them was mortal and the other one was endowed with immortality. During their lifetime the Dioscuri performed numerous feats, participated in the epoch-making voyage of the Argonauts and in the Caledon Hunt. When Castor perished, Polydeuces took vengeance for his death, and his father summoned him to Olympus. However, Polydeuces did not want to take delight in immortality while his twin brother was imprisoned in Hades. Hence, the Dioscuri shared one destiny in the other world, too: now they appear by turns as the evening star and the morning star in the constellation of Gemini. They are usually portrayed together; at that, Castor looks upwards as if from earth to heaven, and Polydeuces looks downwards as if from heaven to earth. The constellation is symbolically depicted as two twin brothers holding each other’s hands. Sometimes the brothers are portrayed connected by a single navel string. Another image represents a man standing in front of a mirror where he is reflected. In astrology Gemini are the third zodiacal sign. The Sun rules in it between 21 May and 22 June. The constellation is called so due to its two almost identically bright stars – Castor and Pollux. The constellation of Gemini is associated with the Greek myth about great love between the two twin brothers – the sons of beautiful Leda. 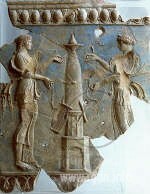 the ancient Greek myth of Apollo and his twin sister Artemis. 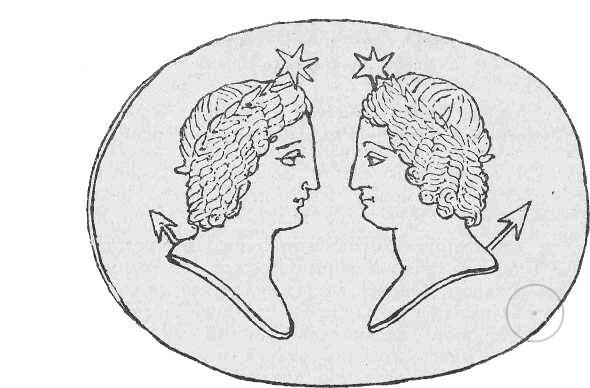 It is often assumed that the twins’ incestuous marriage begins already in the mother’s womb, therefore when twins of different sexes are born it is considered necessary to perform a purgatorial ritual which may include narration of a twin myth (sometimes the idea of the marriage taboo in introduced in the myth itself). In African rituals associated with twin myths and twin cults they often paint every part of one’s face and body in different colours – white and black – to symbolise the alteration of dark and light times. 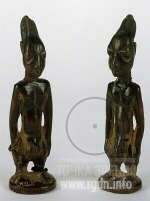 A particular feature of many African twin myths is a combination of both types of mythological contrasts in a single mythological image (twins are bisexual, androgynous beings). Such are the demiurges Mawu and Lisa (twins and androgynes at the same time) in Dahomey mythology. One part of the androgyne (Mawu) embodies the night, the moon and happiness, whereas the other one (Lisa) embodies the day, the sun and labour. A myth of an androgynous being, which myth is associated with twin mythology, is reflected in the ancient Greek Orphic tradition and in Plato’s Atlantis dialogues. Other deities in mythology appear as twin pairs, while the divine rainbow-power is described both as an androgynous being and as a twin pair. In myths of the Bambara people a bisexual deity Faro gives birth to two twins. 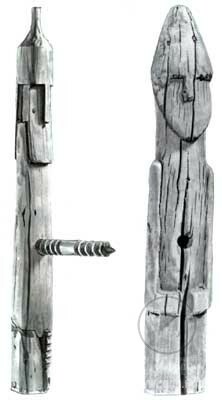 In Dogon culture, the twin myth characters Lis and Nommo act as twins and androgynes at the same time. The earliest stratum of twin ideas may be traced in zoomorphic twin myths where animals participate in the birth of twins or there is a blood relationship between animals and twins. The Dinka people in Sudan have twin totemism: their tribal founder is believed to have been a twin brother of a totem animal. The Dogon people believe that every human being has an animal twin. 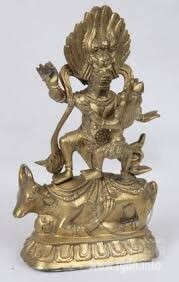 In Ancient India, Ashwins were presented as two birds or bird-horses (in Sanskrit aśva means a horse). A link between two worshipped twins and horses is preserved in ancient German and Baltic myths as well. The Dioscuri also used to be associated with horses. In societies where twins were worshipped there were widespread rituals associated with the symbolism of fertility, in particular with the holy world tree. Under a sacred tree (Ruminalis Ficus) in Ancient Rome figures of the twin brothers Romulus and Remus were placed. A double fruit is a significant vegetable symbol of twin fertility. 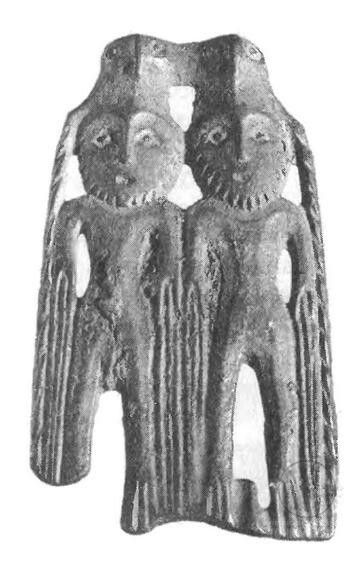 The cult of such a twin symbol has been preserved in Latvian myths of Jumis (a “double plant” or “double fruit”) – a field deity that grants prosperity and is associated with the end of field works. In Dogon myths, people drank beer made of double millet seeds at twin altars arranged in honour of an owner of relevant land plots and a spirit who believed to have been a parent of twins. On FijiIslands, a twin (double) fruit of a breadfruit tree in mythological songs plays a role of a symbol of infinite abundance. As twin ideas were transforming, the antagonism between the divine twins was getting lost, and later on one of the twins disappeared from myths at all. Thus, the name of the Persian epic character Jamshid initially meant “a twin king”, but in the epic itself twin motifs are already unclear. 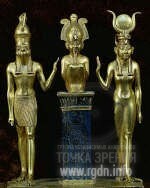 As it has been mentioned above, in A. Novykh’s books twins are referred to in two roles – as bearers of the Grail and even as beings that participate in the universe creation and maintenance. Let me mention that a person who has got in touch with the spiritual power of the Grail experiences a certain inner division. On one hand, such person realizes that he / she lives here in the body, like in a shell, and has to live the life in matter till the end, i.e. he / she sees the shadow, and on the other hand he / she understands who God is and sees the genuine world because he / she sees the reality. That is, the person undergoes a certain division into two. Hence, when the bearer of the Grail sees all of that, basically nothing holds him / her in this world. 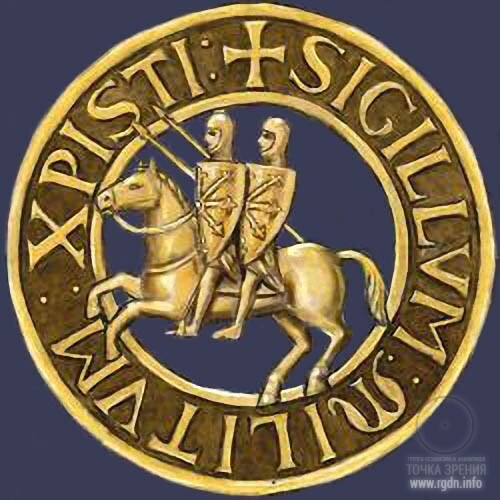 That is why the stamp of the first Knights Templar had an image of two riders on a single horse. For the people of Knowledge such a symbol of ‘twins’ means the highest enlightenment which indicates division of a person into two after getting in touch with the Initial Sound, the Grail. The horse means movement, although at different times there were some other symbols instead of the horse, e.g. a ship or a bird, or swans, falcons, i.e. something that moves more rapidly than a human being can walk, and it surely had a sacred meaning of movement along the spiritual path. 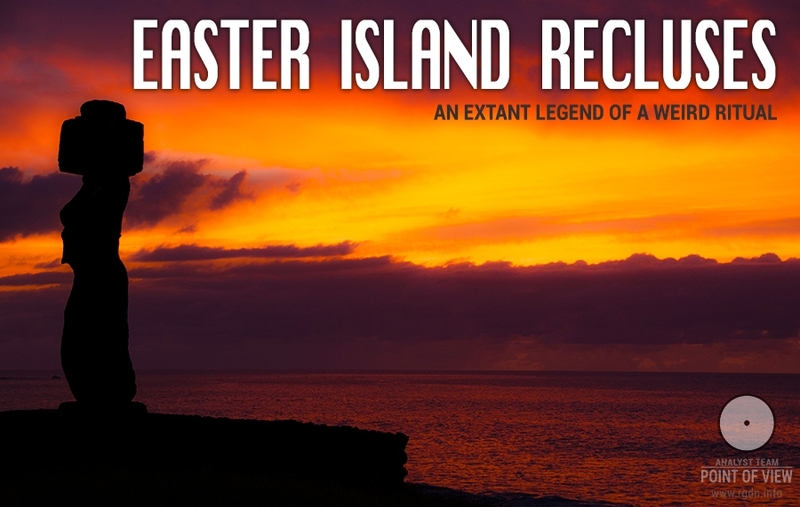 There are certain references to this in symbols and myths, and even in the names of some epic heroes. For example, there was a Persian hero Jamshid. His name meant nothing else but a ‘twin king’. 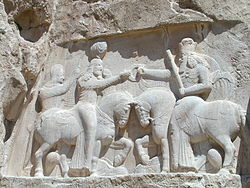 In his time a man whose real personality was hidden in myths under the names of ancient Iranian Yima (whose name means ‘twin’, ‘double’) and who later on was named Jamshid in Persian mythology also managed to find and use the power of Pharn,” Sensei said and explained, “At those times the Grail was called Pharn, which was interpreted by ordinary people as a sunny shining divine fire, its material emanation. It was believed to be a sacred source which grants and increases one’s power and might. It was interpreted as something that helps a person pass the bridge leading to the paradise. 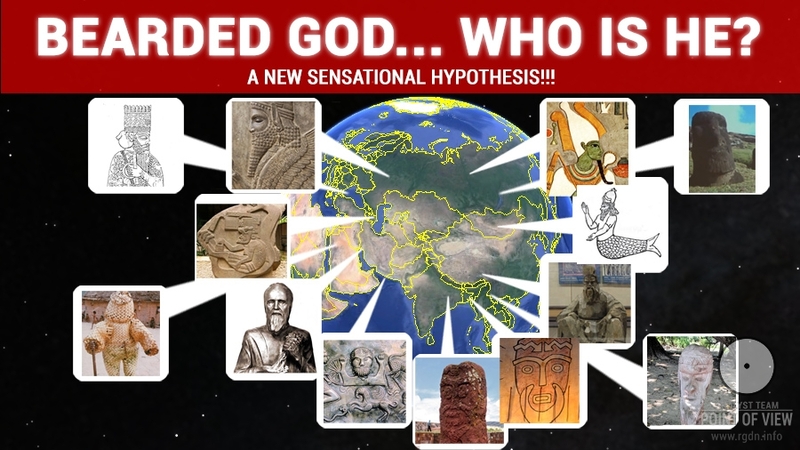 If you study Indo-European mythology, for instance, the Vedic and Hindu mythology (Rigveda), you can find remnants of ancient mentions of Ashwins. Ashwins were considered to be twin brothers, ‘sons of heaven’ who made court to their sister, the daughter of the Sun. 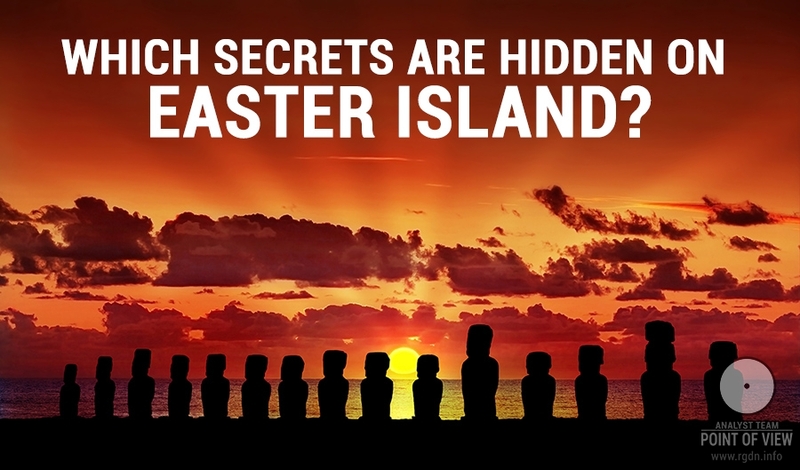 According to Hindu myths, they belonged to deities and were believed to be born apart – one was a son of night, while the other was a son of dawn. They lived in both worlds. 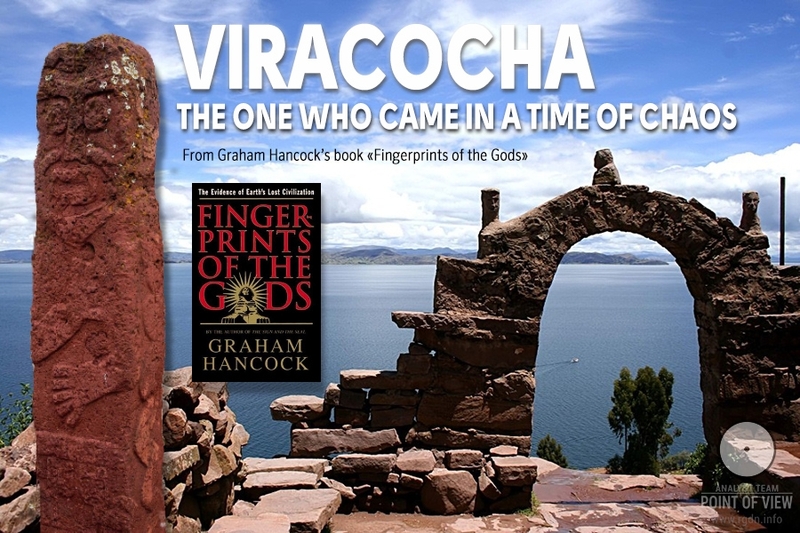 They were connoisseurs of time and divine healers, endowed with the ‘total knowledge’. But their main function was to save people. They fought against evil spirits and helped people in trouble. They were portrayed in different ways, but mostly as young, strong, handsome men in the shining golden light, decorated with lotus garlands. All of that are mere echoes of the bygone events and knowledge of those who had power and sacred knowledge about the Sacred Sound. At that, since this knowledge was secret it got hidden under the veil of legends and myths… Yet, let us revert to the events on MountMoriah which have been preserved in human memory a bit better. The AllatRa book (may be downloaded here) also contains mentions of cosmic legends about the universe formation. 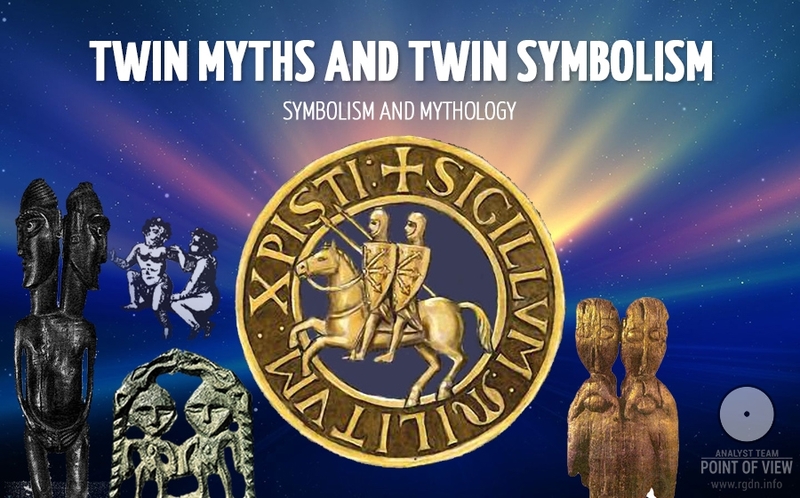 These legends say that at a certain stage the world split into two elements or spirals, or two deities who symbolically represent spirals with antipodal functions and make up an invisible pair, basically a pair of twins. Spirals are represented in myths as, for example, the first pair of gods with opposite functions (one having a divine essence and the other one having a demonic one), from whom other gods descended later on. In another version of such legends, they were depicted as half-humans and half-snakes (at that, the creative ones were the water deities and had bodies of a distinctive green colour). In still another version, there were characters that embodied order, waters of life, fertility, and light; the opposite ones personified disorder, death, darkness, an unpaired creature (for instance, according to African myths, a jackal who desired to become the master of the Universe). So, this is how the creation of the Universe was reflected in myths. It is just that modern people have lost understanding of the spiritual side of the subject, and everything has been reduced to the level of material perception of ancient stories. In the Dogon mythology, the deities of water (the divine twins) shaped as half-humans and half-snakes were called Nommо. Legends remain that, when they saw from the sky the mother earth naked and devoid of speech, they made for her a skirt of ten wisps of filaments of heavenly plants. It is precisely the moist filaments twisted in a spiral, which comprised a word and were full essences of Nommo, that communicated speech to the earth – the first language of the world. Twins represent a symbolic image of bearers of the divine power – the power of the Grail. 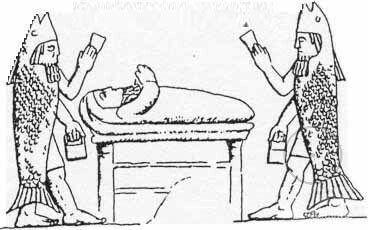 Historical examples of their active assistance to humanity explain such a revered image of the Twins among various peoples, while the twin image itself is a symbol of comprehension of the Truth and highest enlightenment. Despite the fact that the spiritual aspect of this symbol has been distorted and forgotten, a number of peoples have preserved grains of knowledge and even the reverence of twin images. Furthermore, it may be concluded that twin images symbolise not only bearers of the Grail power, but also the universe and the physical laws of separation of Earth from Heaven in the process of formation of the material universe. Twins are a symbol of division of the Single Principle into two halves – the spiritual world and the earthly world, the feminine (spiritual) principle and the masculine principle associated with the world of matter and the animal mind, which is reflected in such concept as the world duality. Another point should be mentioned and emphasised, although owing to certain cosmological myths the present-day human community accentuates exactly the world duality. 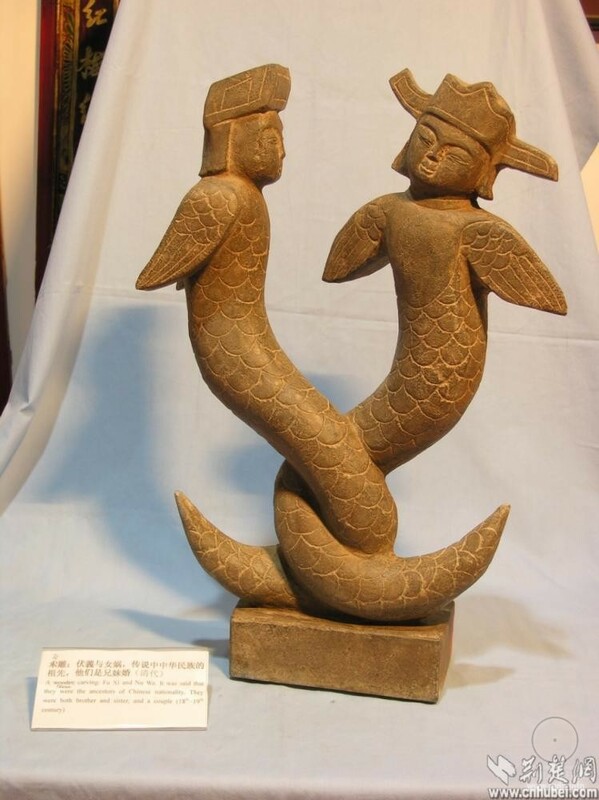 For instance, let’s take Chinese mythology with its Yin-Yang concept that signifies the unity and conflict of opposites in this world, and the conflict of the spiritual and animal natures, which has lasted since the formation of matter, but not earlier! Nevertheless, we should not overlook another important point, namely the fact that the universe always emerges owing to the forces of the spiritual world and the harmonious union between the two powers – Lotus and Allat, which leads to emergence of the third power – the son deity. At this level there is no conflict of opposites, but only Unity and Love that give birth to the Divine Son. Tao gives birth to One. Three give birth to myriads of things. Moreover, despite the duality concept, we should not forget that the divine feminine principle – the Allat force – is what regulates EVERYTHING in this universe. We commence with an invocation of the two Ashwins, the two Riders on the Horse, Castor and Polydeuces of the old Mediterranean mythology. They are supposed by the comparative mythologists to represent twin stars in the heavens, which for some reason had a better fortune than the rest of the celestial host and attracted the special adoration of the Aryans. Let us, however, see how they are described in the hymn we are studying. They are first described as “Ashwins, swift-footed lords of bliss, much-enjoying”… Next, these twin gods are described as “Ashwins, divine souls many-actioned, thought-holding” who accept and rejoice in the words of the Mantra “with an energetic thought”… They are riders on the horse, the Ashwa, symbolic of force and especially of life-energy and nervous force, the Prana. Their common character is that they are gods of enjoyment, seekers of honey; they are physicians, they bring back youth to the old, health to the sick, wholeness to the maimed. Another characteristic is movement, swift, violent, irresistible; their rapid and indomitable chariot is a constant object of celebration and they are described here as swift-footed and violent in their paths. They are like birds in their swiftness, like the mind, like the wind (V. 77.3 and 78.1). They bring in their chariot ripe or perfected satisfactions to man, they are creators of bliss, Mayas. These indications are perfectly clear. They show that the Ashwins are twin divine powers whose special function is to perfect the nervous or vital being in man in the sense of action and enjoyment. But they are also powers of Truth, of intelligent action, of right enjoyment. They are powers that appear with the Dawn, effective powers of action born out of the ocean of being who, because they are divine, are able to mentalise securely the felicities of the higher existence by a thought-faculty which finds or comes to know that true substance and true wealth. They give that impelling energy for the great work which, having for its nature and substance the light of the Truth, carries man beyond the darkness. They carry man in their ship to the other shore beyond the thoughts and states of the human mind, that is to say, to the supramental consciousness (1.46.7). Suryā, draughter of the Sun, Lord of the Truth, mounts their car as their bride. In the present hymn the Ashwins are invoked, as swift-moving lords of bliss who carry with them many enjoyments, to take delight in the impelling energies of the sacrifice. These impelling forces are born evidently of the drinking of the Soma wine, that is to say, of the inflow of the divine Ananda. For the expressive words, girah, that are to make new formations in the consciousness are already rising, the seat of the sacrifice has been piled, the vigorous juices of the Soma wine are pressed out. The Ashwins are to come as effective powers of action, to take delight in the Words and to accept them into the intellect where they shall be retained for the action by a thought full of luminous energy. They are to come to the offering of the Soma wine, in order to effect the action of the sacrifice, as fulfillers of action, by giving to the delight of the action that violent movement of theirs, which carries them irresistibly on their path and overcomes all opposition. They come as powers of the Aryan journey, lords of the great human movement, Nāsatyā. We see throughout that it is energy which these Riders on the Horse are to give; they are to take delight in the sacrificial energies, to take up the word into an energetic thought, to bring to the sacrifice their own violent movement on the path. And it is effectiveness of action and swiftness in the great journey that is the object of this demand for energy. 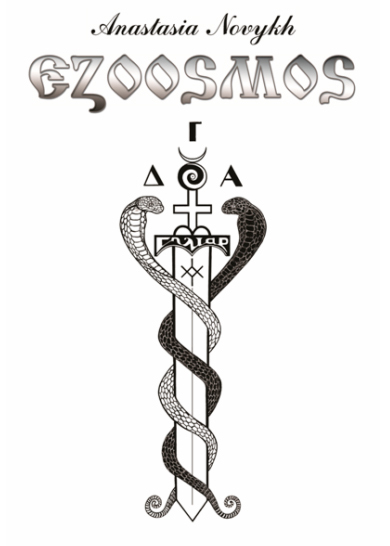 Certain statements in Sensei of Shambala – Book IV by Anastasia Novykh also have much in common with the above extracts dedicated to the Soma bearers.